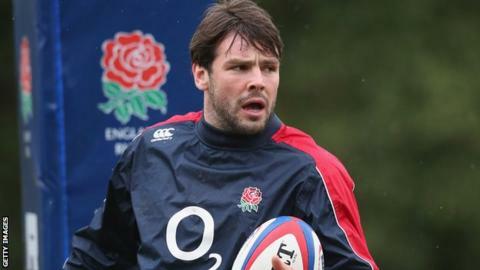 Northampton Saints have been asked by the Rugby Football Union not to play full-back Ben Foden against Gloucester in order to manage a previous injury. The RFU say England and Saints medics agree it is in Foden's best interests not to play at Franklin's Gardens. The 27-year-old was left out of Stuart Lancaster's squad to play Ireland in the Six Nations and had been expected to play in the Premiership match. Foden has played the last 10 games for Northampton in all competitions. He picked up the ankle injury against Bath in September and returned to action at Sale in late November. Speaking on Wednesday, Saints director of rugby Jim Mallinder said: "I probably wouldn't say he's 100% match fit. "He's had a serious injury and he was out for a long time. His form hasn't been as we would've probably liked and as Ben would've liked, but he's getting there. "We'll look after him. He's working hard on it. We saw glimpses from him last week with a couple of really good line breaks. "I'm sure he's not a long way from being 100% and getting back to the Ben Foden of old." James Wilson has been moved to full-back to cover Foden's absence. Saints lie fifth in the Aviva Premiership ahead of their home game against sixth-placed Gloucester.